December is one of the most festive months of the year, and there is no better way to get into the holiday spirit than with a new adventure. Those in the Raleigh, Durham, and Chapel Hill area will find unique activities, musical performances, and shopping options to help end the year on a merry note. Each year the Chatham Artists Guild presents the Chatham Studio Tour, where visitors can enjoy a self-guided tour through dozens of local artists' studios and even meet the people behind the work. December 1-2 and 8-9 from 10-5 p.m. Various locations in Chatham County. The Carolina Inn will once again celebrate the season with enchanting decorations inspired by the traditional holiday song, "The Twelve Days of Christmas." Join in the celebration as they kick-off the month of festivities with a Community Open House featuring local musicians, lots of Carolina Inn treats and fun for the whole family. Hours: December 2, 9, and 16 from 12 p.m. until 5 p.m. Location: 211 Pittsboro St, Chapel Hill, NC 27516. Phone: 919-933-2001. The NC Museum of Natural Sciences takes a unique look at what causes weather. Journey into one of the great mysteries of our planet and the various ways that nature responds to shifts in the climate. This is a live stage show, and host Bob Alderink conducts real-time experiments to demonstrate how clouds form, where the wind comes from, why it snows, and more. Hours: The show runs daily. The Preservation Society of Chapel Hill will have its annual Holiday House Tour in the East Franklin-Rosemary Historic District, one of the oldest areas in the town. 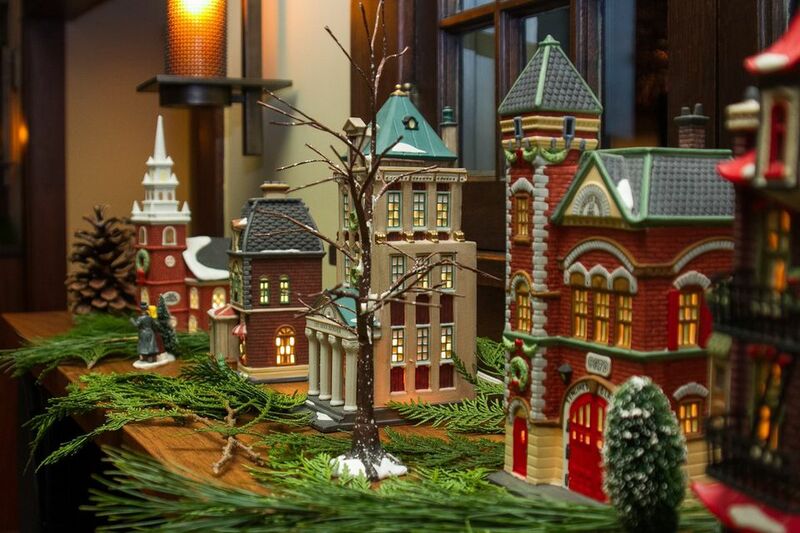 There are four stops where participants will learn the history of each home before ending at the Horace Williams House for a holiday Dessert Party. Wine and appetizers will be provided at each house. Tickets are $60.00 for PCH members and $75.00 for Non-members. Hours: December 8 from 6 p.m. until 9 p.m. Learn some history with Time for Tots: Deck the Halls! at the Raleigh City Museum. The event explains the origins of Christmas decorations and kids ages 3-5 can explore their creative side making Christmas ornaments and other holiday adornments. Admission is $5.00 and reservations are recommended. Hours: December 8 from 10:00 a.m. to 10:45 a.m. The Holshouser Building at the NC State Fairgrounds in Raleigh comes alive with this festive market. Live music, food, mulled wine and cider, holiday gifts, plus arts and collectibles by ten nationally-recognized Outsider Artists from the South are featured. The event raises funds by Sts. Cyril and Methodius Byzantine Catholic Parish, so go ahead and splurge on gifts as it's for a good cause. Hours: December 7, from 5 p.m. to 9 p.m., and December 8, from 9 a.m. to 5 p.m. Kids will get to experience the fun of decorating a gingerbread house at The Root Cellar Cafe & Catering. Each participant will receive an undecorated gingerbread house with frosting, candy snowflakes, and all the decorations needed to turn an unadorned abode into a winter wonderland. Tickets are $25.00 each for one house. Hours: December 2, 9, and 16 from 4 p.m. to 6 p.m. The 29th Annual event showcases an assortment of live performances spread out across nearly three dozen venues in downtown Raleigh. During the day, the N.C. Museum of History and Natural Sciences hosts a DIY Festival, and then starting at 7 p.m. the countdown to midnight begins with comedy, music and other performances. The festival highlight is a Ferris Wheel that provides a birdseye view of all the action. Hours: December 31, 2 p.m. until midnight.